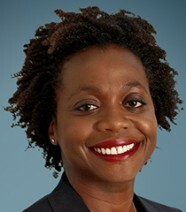 Karima Ola is a Partner focused on African investments at LeapFrog. A deeply experienced operator and investor, she has significant experience working across the continent. LeapFrog invests in extraordinary businesses in Africa and Asia partnering with their leaders to achieve leaps in growth, profitability and impact. Today, LeapFrog companies reach more than 51 million people across Africa, Asia and Latin America, with over 36 million of those individuals being emerging consumers.